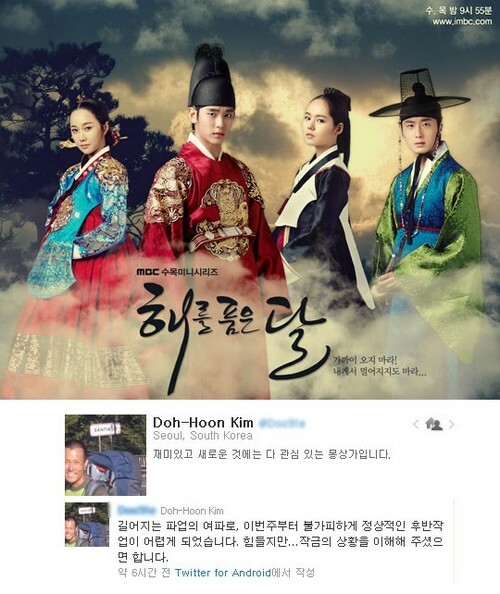 The long-term strike at MBC has also affected the hit series filming for the latter part of The Moon Embracing the Sun, causing the drama to face the crisis of been putting off the air, becoming focus of hot debate. The strike at MBC began on January 30th, 2012. At that time a lot of MBC programs faced with the crisis of been put off the air, but because The Moon that Embraces the Sun outsourced its production, so the strike did not affect the series too much. But at the time the strike has entered its third week, The Moon Embracing the Sun couldn’t help but to be affected as well, unable to carry out normal shooting and editing work. The Moon Embracing the Sun achieved nearly 40% of viewership ratings after broadcasting 14 episodes, is extremely popular, thus whether it’s off the air is a matter of utmost concern to many viewers.